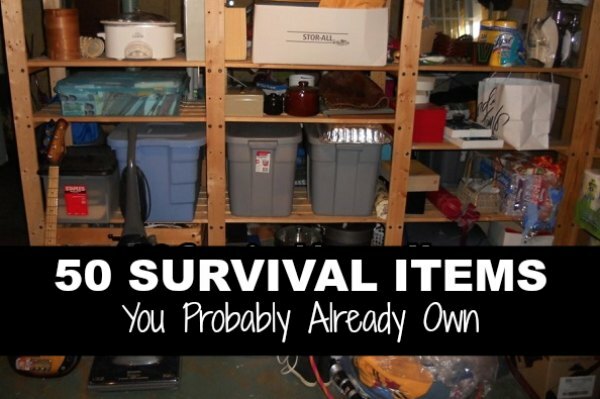 Would you be surprised to know many items you have in your home can be used for survival? Common items like the knives in your kitchen are rather obvious, but some may not be. Many survival items you probably already own can be found in many areas of your home. The kitchen is the best place to start when looking for survival items you probably already own. If you are in the predicament of not having power or gas for your grill, then making a fire is crucial. Cooking will not be too difficult as you can use kitchen pans and even aluminum foil to heat a meal. You may wan to keep a list of survival items you probably already own and start stockpiling. A trip to any dollar store will provide you with various items to have on hand if an emergency occurs. The only thing you need for storing these items is a few plastic bins.